– In 2014 Target joined several other national companies to sign on to an amicus brief in support of marriage equality. The brief evaluated the issues created by states that both prohibited marriage equality and those that refused to recognize marriages that were conducted legally in other states. – Long before they were legally required to do so, Target offered comprehensive, competitive benefits to their LGBTQ team members and their families. – In June 2015, Target shared their #TakePride philosophy and celebrated Pride Month with volunteerism, sponsored events and a new merchandise collection. – Target was recognized by the Human Rights Campaign as one of the Best Places to Work for LGBTQ Equality, earning a score of 100 on the 2016 Corporate Equality Index. – Target announced in April 2016 the support of Federal Equality Act, which provides protections to LGBTQ individuals, and opposes action that enables discrimination. – Target welcomes transgender team members and guests to use the restroom or fitting room facility that corresponds with their gender identity. This holiday season, please support those businesses that support us. Check out the retail section of your city on Hayden’s List. 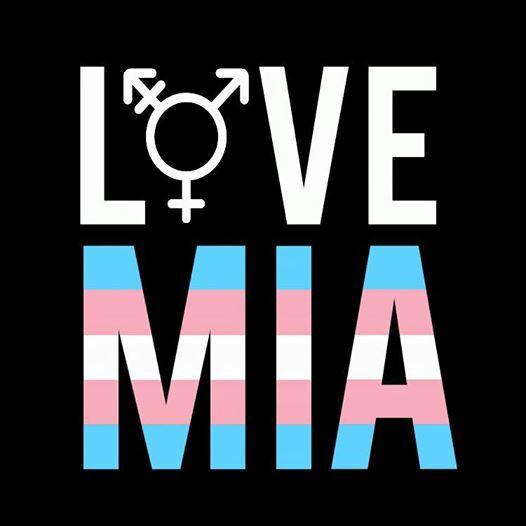 Spread some joy by helping a community member find a LGBTQ friendly or not so friendly store by leaving a review here. We hear about so many negative and sad LGBT stories, it’s always wonderful when we can spread some good news. Here’s a story that is sure to put a smile on your face. The hospitals that treated the Pulse shooting victims, Orlando Health and Florida Hospital, will not bill the victims or their families. The hospitals will be writing off approximately $5.5 million in services. Orlando Health’s main hospital, Orlando Regional Medical Center, treated the majority of the victims. Nine patients died after arriving. Orlando Health will bill insurance companies for those who had coverage, but the remaining balance will be written off by the hospital. Florida Hospital, which treated a dozen of the victims, said they would not even bill insurance companies, nor will they bill for follow-up surgeries the survivors may need. “During this very trying time, many organizations, individuals and charities have reached out to Orlando Health to show their support. This is simply our way of paying that kindness forward.” said Orlando Health President and CEO David Strong. It’s become a recurring theme. Concerts – cancelled, sporting events – cancelled, and now the latest to refuse to come to the North Carolina – The University of Vermont Women’s Basketball Team. The team just announced they are cancelling their December 28 away game versus the University of North Carolina due to the HB2 law in North Carolina. Players, coaches and school officials come to this decision together and feel good about their decision. “The decision to cancel our December 28 women’s basketball game at North Carolina was made as a result of concerns over the HB2 law, which prevents transgender people from using government-run bathrooms based on their gender identity. The Vermont / UNC game is not the first event or sporting event to be cancelled because of the law. Bruce Springsteen cancelled a concert in North Carolina. The NBA moved the 2017 All Star Game from Charlotte to New Orleans and the University of Albany cancelled a men’s basketball game against Duke scheduled in November. So, whose next? Live in Sacramento? Interested in a LGBTQ Friendly cake? The Freeport Bakery in Sacramento, California, like all bakeries on social media, posted a picture of a finished cake. However the response to this cake was unlike any other. 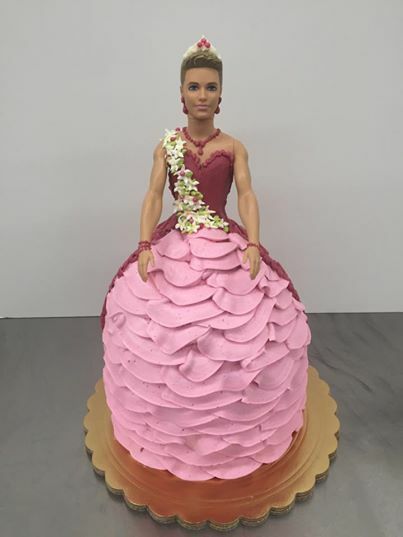 The cake in question is a depiction of a Ken doll wearing a pink dress and jewelry made out of frosting. Many people saw this as a statement that Ken was a member of the transgender community. “I don’t ask people why they’re buying a cake. I don’t say, ‘Are you gay? Are you transgender?’ It’s not something that comes up,” Goetzeler said. Hayden’s List approves this message and next time any of our staff are in Sacramento, we’ll be sure to stop by for a cake. If you have visited the Hartford page on Hayden’s List then you know that “You deserve a beautiful smile.” East Cedar Dental Inc. and Dr. Aaron Farrokh have been a supportive part of Hayden’s List as one of the first companies to advertise with us. They also have a perfect 10 review for being welcoming to the LGBTQ community. We had the opportunity to speak with Dr. Farrokh about his background, his passion for providing a beautiful smile, how East Cedar Dental Inc is a leader in helping to solve sleep apnea and the importance of Hayden’s List. Dr. Farrokh knew from a young age that he wanted to work in healthcare and own his own business. His father was a primary care physician. Dr. Farrokh saw the long hours that his father worked and craved a different kind of lifestyle. A friend in college brought dentistry to his attention. Dr. Farrokh shadowed a dentist and he liked the mix of healthcare, working with people and working with his hands. When Dr. Farrokh was looking to set up his own practice in the Greater Hartford area, he took over an established practice in Newington and East Cedar Dental Inc. was born. Dr. Farrokh stands by his slogan that “You deserve a beautiful smile.” His favorite part of dentistry is the aesthetic and restorative procedures that improve people’s smiles. Some of the most popular procedures at East Cedar Dental Inc are teeth whitening, crowns, bridges and veneers. Dr. Farrokh has expanded into improving patient’s sleep. East Cedar Dental has joined the twenty percent of dentists now fitting patients for the Hearst Appliance or oral appliance for the treatment of Obstructive Sleep Apnea (OSA). Individuals with sleep apnea have a collapsing airway which leads to choking and gasping for breathe during sleep and therefore an interrupted sleep cycle. The medical treatment is a Positive Airway Pressure (PAP) machine. However fifty of people prescribed the PAP machine are intolerant. Dr. Farrokh has begun providing the alternative OSA device. The OSA is custom fitted to the patient through measurements and impressions. The OSA works by moving the lower jaw forward to open up the airway for continual airflow and uninterrupted sleep. Patients are loving the OSA option for sleep apnea. First, the patient can do a take home sleep study test instead of going to a lab. A lab test costs around $1000 compared to the take home test cost of $150-200. The take home test is much more comfortable than the lab test also. The patient doesn’t need to be hooked up to a bunch of wires with the take home test. Second, the OSA is more comfortable during sleep for the patient. There is no noise, tubing, and easy to remove. The patient’s partner is also not disturbed during sleep with the lack of noise. The OSA is less cumbersome and can be easily packed for travelling. “Ergonomically it’s better” said Dr. Farrokh. Dr. Farrokh learned about Hayden’s List when a patient put a positive review on the site. “As a member of the LGBT community, I recommend Dr. Farrokh and his staff. Dr. Farrokh is friendly and funny and an excellent dentist!” says the review. Dr. Farrokh visited the site and wanted to be one of the first to advertise with us. “People shouldn’t be discriminated against for their religion, race, gender or sexual orientation,” he says. Dr. Farrokh wants EVERYONE to feel welcome when they visit East Cedar Dental Inc.
It’s said that if you travel to any black neighborhood, the two places you’re sure to find is a church and a barbershop. The barbershop is a safe place for a black man to be themselves and discuss hot topics like sports and politics. “Shape Up: Gay in the Black Barbershop” is a documentary that explores just that: the black gay man’s experience in what is one of a few safe spaces for a black man. The director of the documentary, Derrick L. Middleton discovered that straight men in the barbershop ofter use the terms “faggots” and “sissies.” Derrick does not believe the terms are used only in homophobia. The language is also used not knowing that there are gay men in the barbershop. “Shape Up: Gay in the Black Barbershop” proves that gay men want to stop hiding. Derrick would love to see the barbershop become a more progressive space and challenges them to do so. However he also praises the importance of the barbershop in black communities. Is your barbershop LGBTQ friendly? Review the shop on Hayden’s List! See the trailer for “Shape Up: Gay in the Black Barbershop” here. New York Grilled Cheese Company in Wilton Manors, Florida has received a few bad reviews online. But not over their grilled cheese. Their bad reviews are in reference to their employee, Mia, and the gender-neutral / trans-friendly bathrooms.